Oh look, dahhhhling. Can you believe it? They’re dropping their H’s in Knighstbridge …! (This photo was not edited, only cropped! Yes. 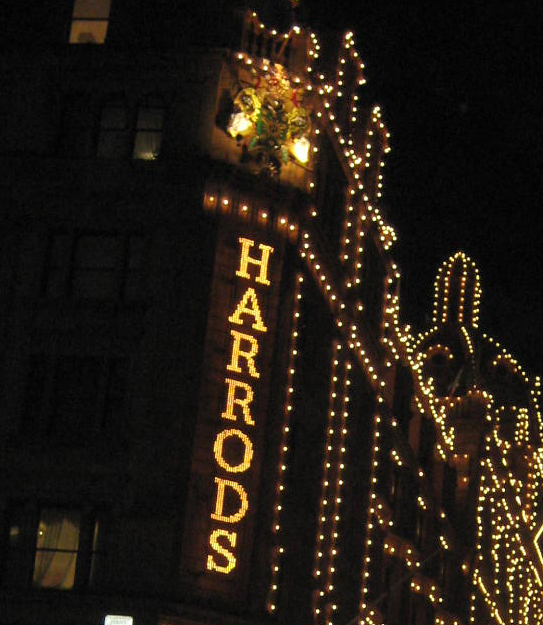 A lightbulb or 3 really did pop on the Harrods store sign. 😉 Toodle-Oo for now!